Lakefront Living! If you enjoy outdoor living on a lake-this is the home for you! 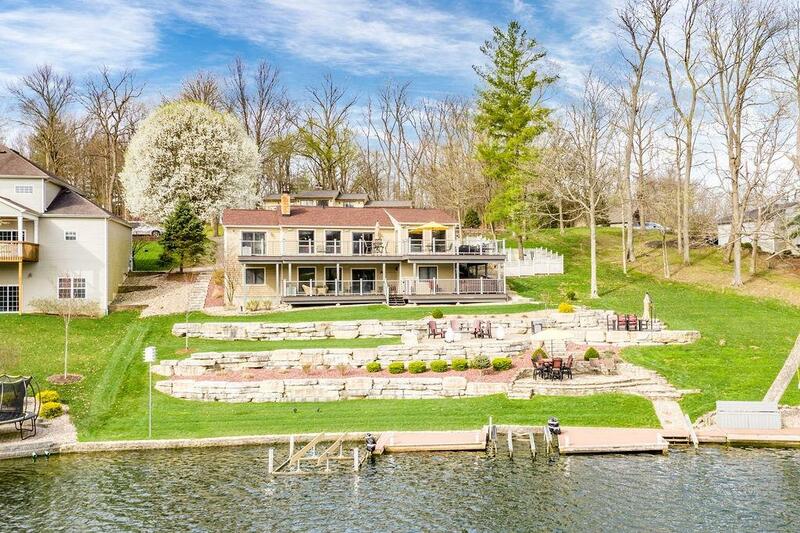 This home is a rare find with over 200 feet of prime lakefront, huge docks with 2 boat lifts, beautiful stone patios, walkway, and fire pits are perfect for entertaining on the lake! Inside you will love the open airy floor plan-beautiful kitchen, lower level bar and wine cellar. Fantastic 1st floor master and laundry! Many tasteful upgrades! You will want to call 1492 Aqua Vista Drive-Home Sweet Home!